Minister Elkin calls for building homes in Givat HaMatos to prevent an entirely Arab enclave in Jerusalem. 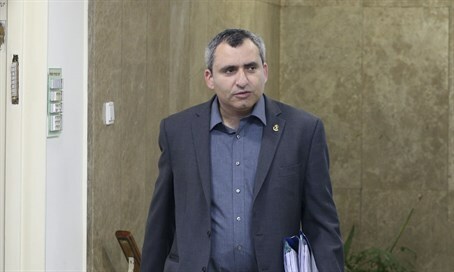 In an interview with Arutz Sheva today, Minister for Jerusalem Affairs, Ze'ev Elkin, criticized the Prime Minister's decision to build hundreds of housing units in Jerusalem for Arab residents. He also discussed his involvement in the Ma'ale Adumim sovereignty initiative. Minister Elkin began by stating that he is not against Arab construction in Jerusalem and that he knows that the large Arab population in the capital also requires housing. However, he claims that Arab construction in Beit Safafa also requires parallel Jewish construction in the adjacent Givat HaMatos. ''Here is the issue, promoting Jewish [construction] on Givat HaMatos is a strategic goal in order to create a continuous strip of Jewish neighborhoods in Jerusalem. It is also necessary to accommodate the very severe shortage of housing in Jerusalem for the Jewish sector. The struggle over construction in Givat HaMatos has been going on for several years. As I recall, after the UN vote to recognize the Palestinians, the Cabinet advanced building plans for Givat HaMatos, but eventually it was stopped due to American and European pressure. "It was always clear that when building in this neighborhood [of Beit Safafa] advanced it would be together [with housing for Jews and Arabs build in tandem]. However now they will build only the Arab area and nothing is happening with the Jewish part. You cannot have such a strategic neighborhood in Jerusalem and promoted only the Arab section." "This building itself is not the problem. [The problem is] promotion [of construction] which ignores construction for Jews. In principle it cannot be the case that the restrictions apply only to Jews and [we must think of] the long-term consequences of this." Elkin welcomed the announcement of new construction in Ma'ale Adumim. However he stressed that this cannot be at the expense of new construction in Jerusalem. The Minister was asked whether his participation in the initiative to apply Israeli sovereignty over Ma'ale Adumim is an attack on the Prime Minister's policies. Elkin rejected such a claim and stressed that nobody is trying to undermine the Prime Minister. "I have been saying for years that the right-wing has made a mistake by not pressing the issue of sovereignty." "In the meantime, the Palestinians have taken everything they can, piece by piece, and now control the entire Gaza Strip and 40% of Judea and Samaria. For the past 20 years we have not pressed forward with our dream of realizing our national hopes and our rights in Judea and Samaria. This was a very big mistake." "I'm calling for dialogue and serious discussion about applying sovereignty, beginning with those areas where it is easier to consolidate a consensus. For this is not a simple process. It requires a broad consensus across the political establishment and the people. It also requires a change of perception by the international community." The most important thing, according to Elkin, is to have a dialogue regarding sovereignty. He notes that, "sometimes it is very important to speak about important matters, even if they are not accepted immediately. A few decades ago it was forbidden by law to speak of a Palestinian state, but the left-wing kept speaking about it even when it seems hopeless. They became pioneers of this camp until they turned it into the dialogue and inheritance of large segments of the political system and the Israeli public. This is what we must learn from the Left. Even if the idea of ​​sovereignty seems impossible, having a serious conversation about it can turn it into a reality."